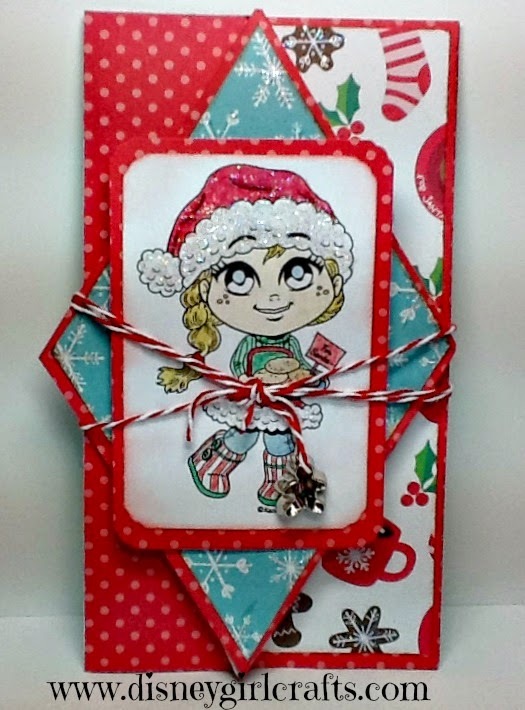 It is challenge time over at Scrapbook Blessings Club. It is anything goes with the Design Team spotlighting an "upright diamond fold". Kenny K is our awesome sponsor for this challenge. To see what the Design Team created and also to see a video showing you how to do this fold head on over here. For my card I used the Kenny K image "Santa Cookies". Once again, I left space to add a sentiment or a hand written note. When I send this card I may also add a piece of solid card stock to the inside to write my note on. When I am not sure who I will give a card to I really like to leave some of it unfinished. That way when the time comes to send it I can personalize it for the recipient. Thank you so much for stopping by. 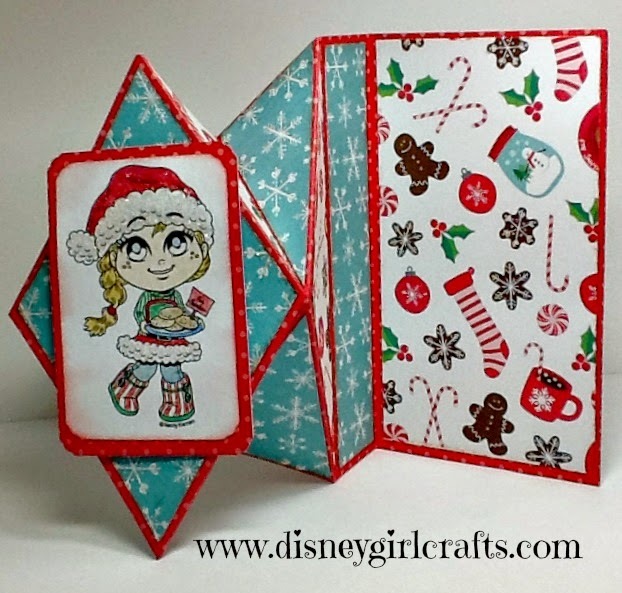 I hope that you will join the challenge over at Scrapbook Blessings Club. We just turned one year old and the blog has a beautiful new look. Have a magical day!!!! Oh my what a joy this is! From the gorgeous coloring to the fun and beautiful papers. And this fold! Splendid!! I don't know where my comments went to. I commented on your Blog and Maggies last night, and neither comment is there today! Love how you did this card! The twine treatment is so cool! I like your idea of a note on an additional piece of cs to be included with the card.